Even though we kinda fell off on posting comics over the last few months, the state of Side Quest is actually pretty good. 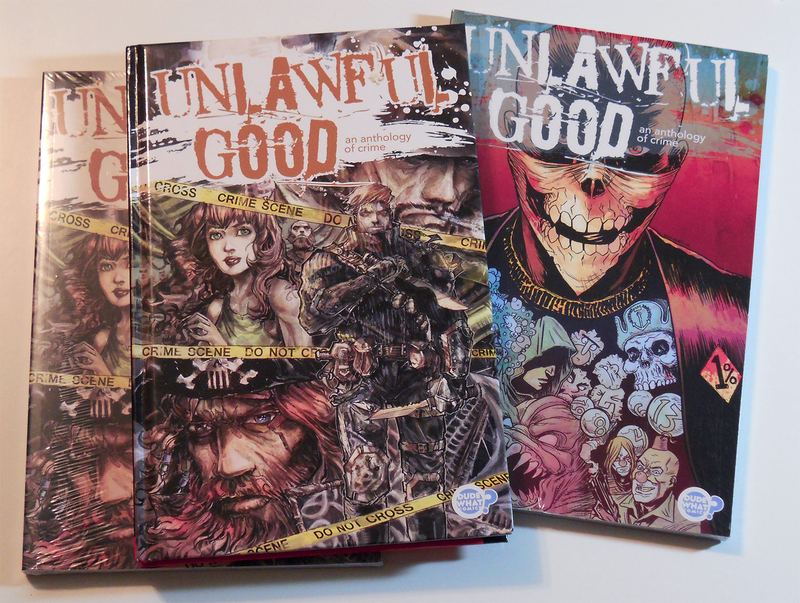 It’s crazy to think that June 6th marked the one year anniversary of me being a part of Unlawful Good: An Anthology of Crime by Dude, What? Comics. You can get a copy for yourself here. It was a wonderful experience working on the comic and it has continued to be a great experience selling the book and meeting fellow Unlawful Good creators and comic fans. 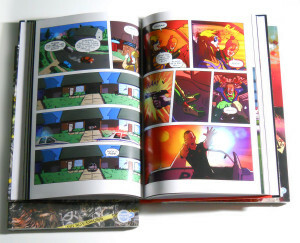 This past Cherry Capital Comic Con (C4) there was a spirited camaraderie with all the creators in the book. Whenever we’d sell a copy of the book we’d always encourage the buyer to walk the show floor and get autographs from the other artists/writers at the show. This created a lot of great opportunities to drive traffic to different areas of the con, meet new people, and get a feel for what the fans liked about the book. Once again, I can’t say enough kind words about Dude, What? 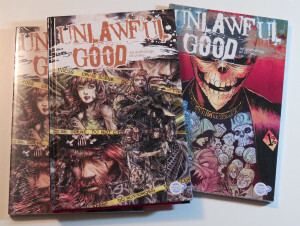 Comics, especially our editor Heather Antos, and of course all of the comic creators that were involved with Unlawful Good. There has been a few other things getting in the way of us posting comics regularly. But, I’ll get to those next week.